We have moved to a slightly different hosting platform which will allow us to create and share even better content with you, including our newsletter – more about that later. 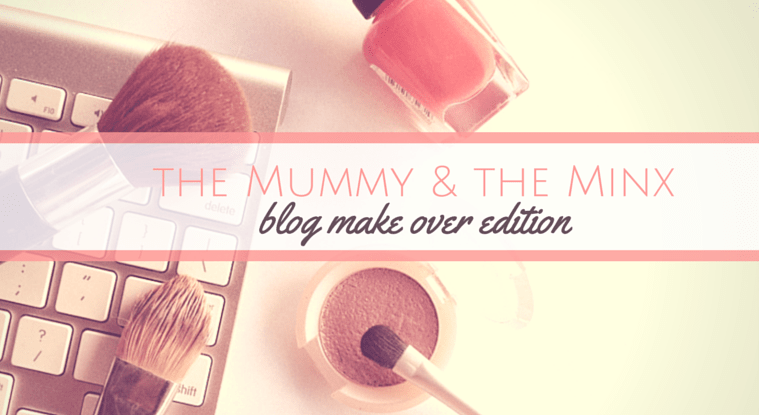 It’s been a whirlwind few months with the Mummy and the Minx, both personally and blog-wise. We have hardly had time to collect our collective breath! But we are focusing on reflection at this time of the year and there are few things that we could have done differently. And there are few things we are so glad we did. And do you know what every single blogger seems to do after a period of time? Writes a list of things they wish they knew before they started blogging. If you want control over your blog, if you want flexibility and you want to be able to do things like run competitions, have people subscribe to newsletters, look a bit fancy pants, just go straight to WordPress.org rather than WordPress.com. This excellent article clearly articulates the differences. Just wish we had read that FIRST. Be kind to yourself and don’t over stretch – in reality the only person that’s going to be terribly disappointed if you don’t post on a particular day is you. Your health, your family and yourself need to come before your blog – even if you are white hot with inspiration. Don’t compare and don’t stress if your chosen niche isn’t quite as unique as you first thought – your voice is different and it is worth putting out there. There are literally millions of blogs in blog-land. Chances are you are going to have a similar view point to someone already there. That’s okay – it’s a chance to make friends. Build your blogging community by finding blogs you really enjoy. Commenting and building your blog tribe should be a joy rather than another item on your ever expanding bloggy to-do list. Making friends should never be strategic. Do a blogging course like Blog with Pip. We loved this course. Not just because we learned so much, but because we made some great bloggy friends and were welcomed into a little community. Look beyond wordpress itself for themes – Etsy and themeforest.net are great. If you have browsed a few blogs and you were impressed, whatwpthemeisthat.com will tell you what theme and plug-ins a particular blog is using. We set up a temporary site and gradually imported our content to it, using the export and import tools available on both .org and .com. Once happy with it, it was then a matter of redirecting our domain. At first, I tried to replicate our original look and feel into our new site. This was a mistake. Once I let that go and saw it as an opportunity to refresh and rebrand, things fell into place. In order to ensure that the links within the site worked, I had to check that the permalink structure within our .org site was exactly the same as our old .com site. The things that didn’t auto-magically come over included our stats from the old site and WordPress followers from the old site. As a relatively new site, we didn’t care too much about the stats. To encourage our WordPress followers to move, we posted a final post within our .com site, letting people know about our exciting move. Our lovely followers would have seen this post within their WordPress reader. The post will also serve as a marker if anyone accidentally heads to the wordpress site somehow. Now, who is that very wise, very patient blogger who actually READS and ACTIONS those posts first before diving straight in? Kudos to you! Aw, thank you – so lovely to have you here!